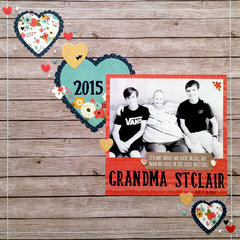 You’ll be hit by Cupid’s arrow when you get your hands on the exclusive Nested Hearts Decorative Die Set by Scrapbook.com! These wafer-thin metal dies cut cleanly through paper, cardstock, vellum, foil, fabric and other thin materials and add detailed design to your love filled paper craft projects when you stack and layer them on your cards, pages or tags. 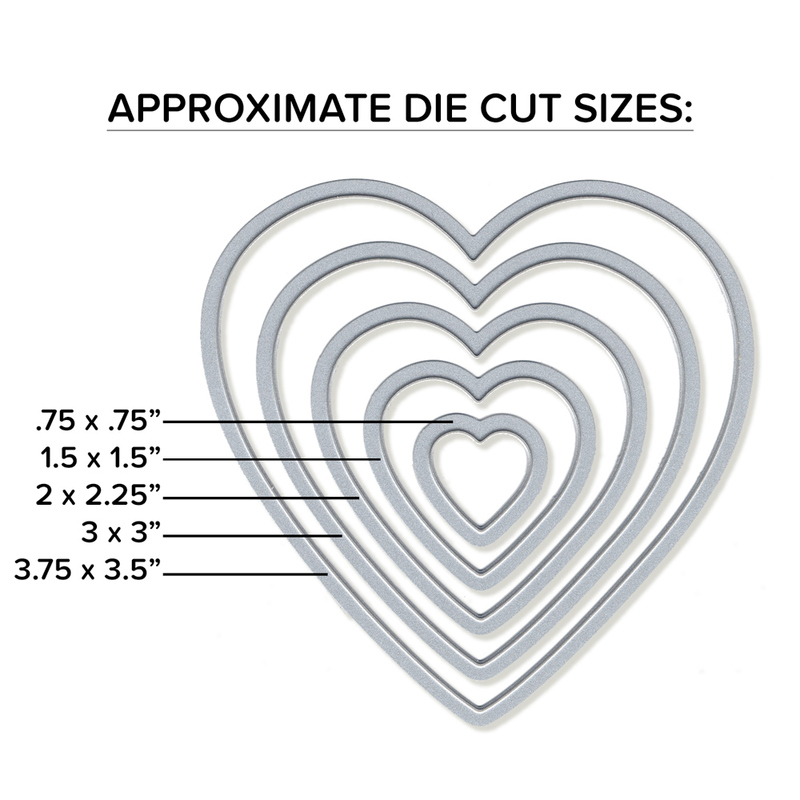 Included are heart shaped dies in a variety of sizes that you will find a multitude of uses for; they’re a must-have if you love creating with dies. You will enjoy that they will work perfectly for your small projects right up to your larger ones; you’ll appreciate the versatility of this set! Q: Will these dies cut through 2 or 3mm thick felt? Or try using them as stencils! 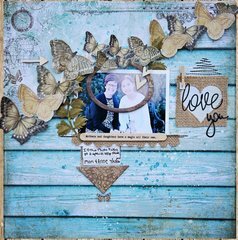 Get ready to add detailed layered or framed designs to your sweet DIY crafts with this affordable set; you won’t believe how awesome your moonstruck projects will look with the heart design. 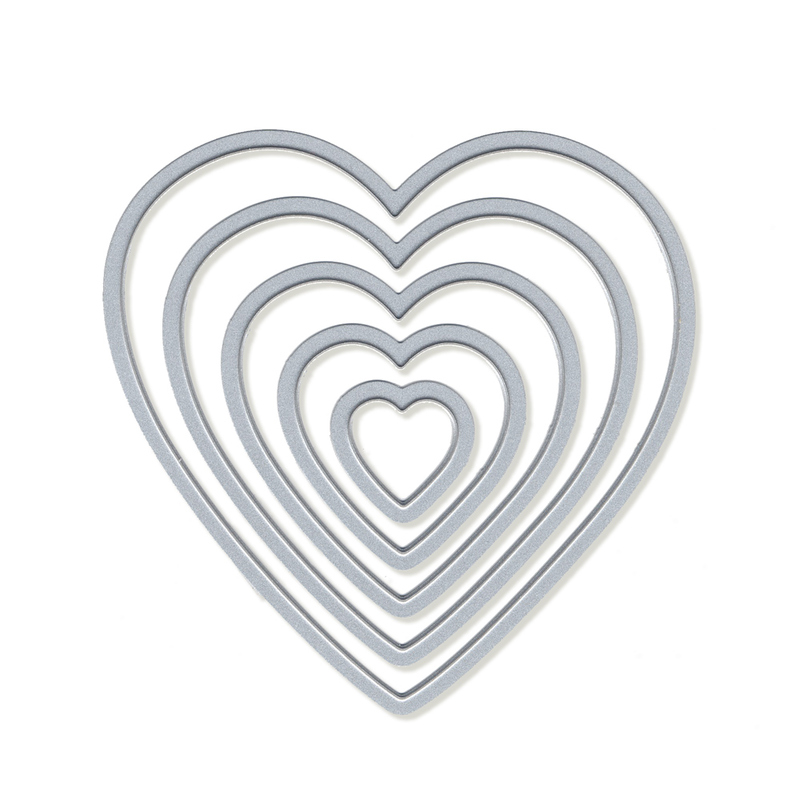 If you love the heart dies, you’re going to want to check out all the other nested shapes that are available at Scrapbook.com. When will die cut manufacturers learn to use an adhesive that renders the dies easy to remove from the packaging? Magazines long have used such an adhesive to affix removable items to pages. Dies generally are affixed to double-sided adhesive tape or other adhesive that makes the dies difficult to remove and renders them subject to bending. These dies were particularly difficult to remove. The package was impossible to open without demolishing the rigid plastic and rendering it unusable for storage. For both of these reasons, I don't plan to buy more Spellbinders dies if I can find what I want offered by other companies. However, once I got the dies out of the package, they are excellent. Packaging counts! Dies are not Fort Knox. 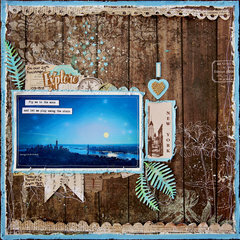 Have been playing around with these dies and they are more fun to work with each time I get time to play with them. Quality die set, that cuts excellently. Also perfect sizes for A2 cards. A great value too, I'm very happy with these dies! 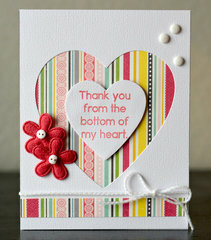 Also layers great with the same brand of scalloped heart dies. I just use these dies to make heart photophrames in my albums. They cut through the paper really well. This time I am planning to do a tunnel card, so they will be very helpful. Great dies! These are not cheap or flimsy. Will get many uses out of these hearts. Nice clean cut. Came on estimated delivery date. Product excellent. This set has quickly become one of my favorites! 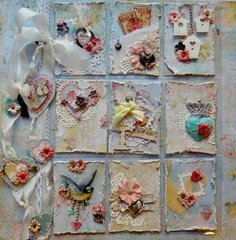 Do these work with the scalloped hearts for a matted look, or are the sizes off? Thanks! By: User (15-Jan-19) Helpful Question? Yes | No Thank you! Report Inappropriate This question has been reported. Thank you! If you have both I would try them. I only have the straight heart die cut. Hopefully, someone might have both types to answer for you. Thinking you could always go a size larger or smaller to make them work. Play and try. Creating is so much fun. By: shericrystals (16-Jan-19) Helpful Answer? Yes | No Thank you! Report Inappropriate This Answer has been reported. Thank you! Will these dies cut thru 2 or 3mm thick felt? Thx By: User (22-Oct-17) Helpful Question? Yes | No Thank you! Report Inappropriate This question has been reported. Thank you! I am pretty sure they will, but you might need to play around with shims (a piece or two of paper to make the "sandwich" of die, felt, and plates exactly right to cut best) to make it happen. You may also want to run it thru forwards and backwards! By: nashmiller5781 (25-Oct-17) Helpful Answer? Yes | No Thank you! Report Inappropriate This Answer has been reported. Thank you!